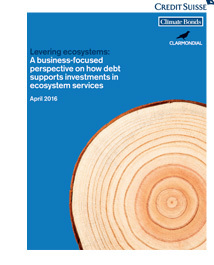 Read the Report: "Levering Ecosystems: A Business-Focused Perspective On How Debt Supports Investments In Ecosystem Services"
Bringing forth creative voices, images and strategies in energy, environment, and the new language of sustainability. The Green and Blue Salon symposiums, a series of solution-driven environmental and energy leadership forums, have been held in Washington DC and New York City since 2007 for people deeply committed to improving the environment. Partners have included Swedish Ambassador Gunnar Lund and the Embassy of Sweden, Dr. William Haseltine and the New York Academy of Sciences. Productions 1000 is proud to be showcased in the BEST OF DC: 'Defining Change' in American Leadership -- a unique publishing project that “celebrates the success stories of visionary leaders” fueling a new era of success and sustainability. This prestigious project, a 360-page yearbook and digitally ready-to-print, is the very first interactive publication of its kind in the United States. Productions 1000 welcomes you to view our illustrated profile in the Media Chapter on pages 242-243, and to read Richard Marks' Leader Preface for the Environmentalism chapter, found on pages 64-67. We extend our most sincere thanks to Matthew Christian Davis, Managing Director of BEST OF DC, for distinguishing Productions 1000 in BEST OF DC. We are inspired by Matthew's great devotion to positive leadership in America and worldwide. Please take a moment to read Matthew's Preface in BEST OF DC.